How Do I Protect My Production Crew from Travel Accidents? Cast and film crews often spend long hours on the road due to strict travel demands. Traveling to and from set and film locations put the cast and film crew at certain risks. In addition to the health risks that your film production staff faces in the event an accident, you also face liability issues resulting from damage to expensive props and equipment. Having production insurance can help protect producers, filmmakers, film crews, and production equipment from liability claims. Production insurance protects your business from any on-set injury liability, travel accidents involving production crew vehicles, and damages or loss to production equipment. Learn more about production insurance, what it covers, and why it is crucial to have insurance if your cast or production crew travels for work. Travel accidents are becoming more and more common in the entertainment industry. Actors, actresses, and crew members are at risk for travel accidents due to working long hours. In some cases, production crew members may even experience sleep deprivation which can lead to drowsy driving. While long hours on set often come with the territory, it is important for production companies to take the necessary steps to protect their careers from travel accident-related lawsuits. Traveling to and from sets and film locations put production crews at risk for driving accidents. Whether your crew is traveling across the city or across the country, vehicle accidents can occur which may result in serious personal injury. If your crew or other parties involved in the accident became seriously injured, your production company could be found responsible for medical bills and loss of income. For injured staff, workers compensation may be required. Another major risk to consider is damage to your production gear. Props, lighting, video and audio equipment, and other supplies can be highly costly to replace. If you rent your equipment from a third party, you may also be responsible to pay for or replace any rented supplies. Production insurance can help cover the cost to replace these items. Take a closer look at how many hours your cast and production crew are working on a daily and weekly basis. You may discover that your staff is working longer hours than you realize. By reducing the number of hours the production crew works, you can help prevent drowsy drivers. If you do not already have safety rules and regulations in place for your production crew, now is the time to make them. Develop guidelines that outline safety precautions. For example, you may have a rule that states that a crew member can only drive a certain number of hours per day before they must allow another driver to take over. All of your drivers should be assessed on a regular basis. This means checking their driver’s license and analyzing any new or current health issues that could affect them on the road. You may also want to have your drivers undergo on-the-road testing to assess their behavior. Travel accident insurance is a must-have for professionals in the filmmaking industry. This specialized type of travel insurance helps companies minimize their potential liability that they could face in the event of a travel accident. Travel accident insurance for businesses generally includes coverage for accidental death and dismemberment, as well as coverage for medical benefits. Some policies may also provide coverage for certain business equipment or supplies if they should become damaged or stolen during business operations. Travel accident insurance policies are available for both employees and non-employees and may include other benefits like travel assistance. 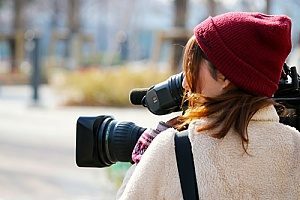 Travel accident insurance is essential for companies in the filmmaking industry to help manage risk exposures when employees must travel from place to place as part of their normal work duties. Vehicle accidents that cause serious injury or damage to costly equipment can lead to thousands or even millions of dollars in losses for businesses if they are found responsible. Travel accident insurance can help ensure that your production company does not experience financial ruin if a travel-related accident should occur. It can also provide you with peace of mind that your staff and business are protected against the unknown. 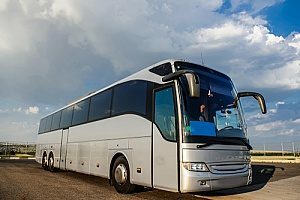 While traveling is a normal part of daily operations for most active production companies, transporting people and equipment comes with certain risks. While you cannot always control what happens on the road, you can acquire protection for your production crew and business. Contact an entertainment insurance broker for more information about travel accident insurance or how you can apply for a production insurance policy.